Why do solar or lunar eclipses happen? Our most sought after activity is created by the ASP and available in a grab-and-go portable version for use in both formal and informal settings to help us answer this common question and more. Set of 5 activities, perfect for group settings. 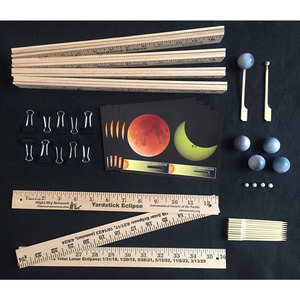 We’ve found the perfect materials for students and participants to explore solar and lunar eclipses kinesthetically. This activity also comes with an easy-to-use facilitation card that prompts the facilitator with active questioning examples to encourage learning through discovery by children and adults alike. 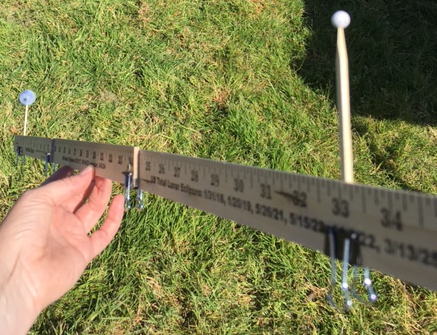 Educators can use this activity to model eclipses outside on a sunny day or in a room with one bright light. Depending on the level of investigation, this activity can take between 10–45 minutes. Ages 7 and up. Shipping cost included. Bagged in sets of 5 activities. Download the activity instructions to help you use this kit and answer "Why do Eclipses Happen?" View the Yardstick Eclipse video. 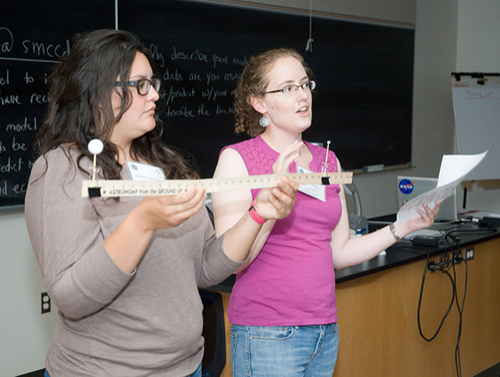 This activity is also adapted with an approach to developing, enlarging, and refining students’ initial ideas about lunar and solar eclipses and demystifying the process in the October 2016 issue of NSTA Science Scope. Order a pdf file of the article Exploring Lunar and Solar Eclipses via a 3-D Modeling Design Task online.